If your plan is to spend an unforgettable time while you are on a holiday in Icmeler, you shouldn’t miss Icmeler Swim With Dolphins Program. 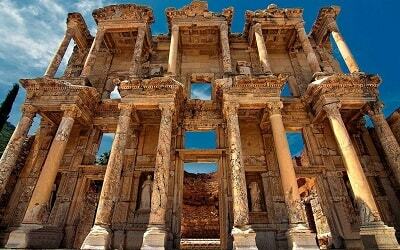 It is designed for visitors that need something different from all those similarly tailored excursions that every travel destination has to offer. 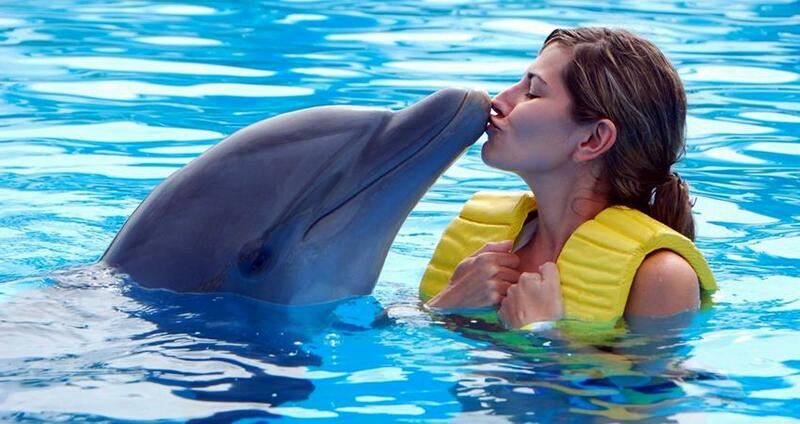 If you would like to be kissed by a dolphin, than this is the right place for you! Dolphin Park Tour provides a swimming program named “swimming piece of love“. 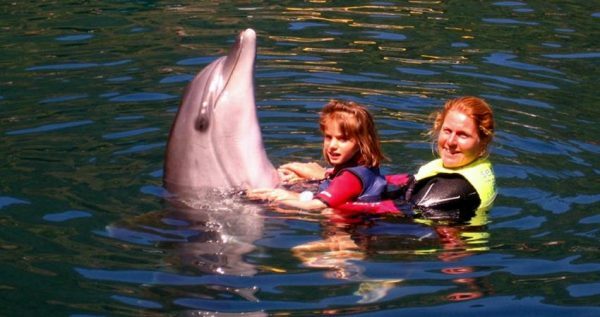 You and your children can touch the dolphins and play with them. 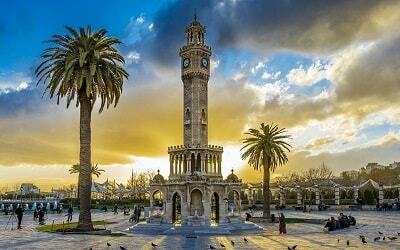 You can also dance with them and have best times of your holiday. 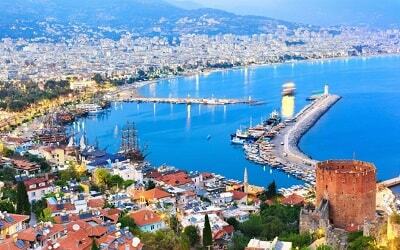 The Dolphinarium is located around 5 km from the Marmaris Center and it is for sure one of the most exciting places you can visit. It is like visiting Disneyland when it comes to children’s joy and it is something they will talk about with their friends as the most memorable holiday experience ever. 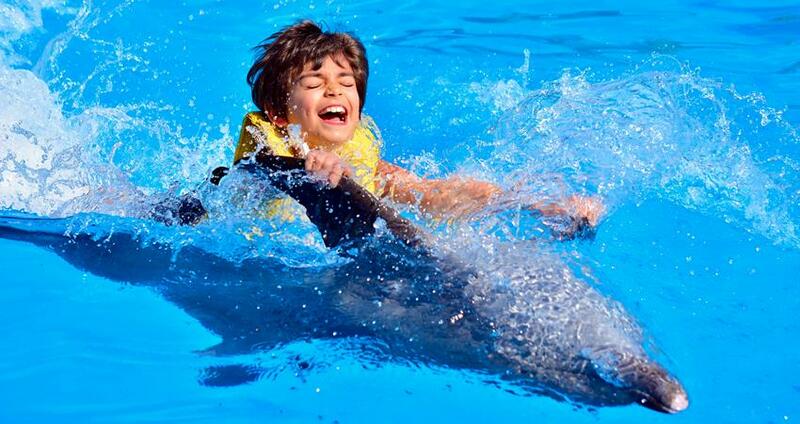 Icmeler Swim With Dolphins is organized in such a way that it provides four sessions with these fascinating animals. Each session lasts for around 15 minutes swimming which is enough time for you to have the fun of your life! In order to avoid staying without tickets, make sure you book it online in advance. The tickets can be booked any time, but make sure to book them a few days up front. 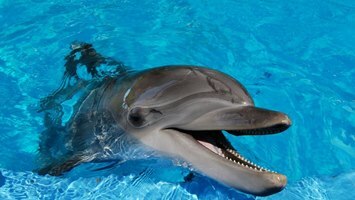 It is not forbidden to bring your own camera and take photos during the activities at Dolphinarium. Make sure to do so and take plenty of pictures while you’re on this memorable excursion. Photos last a lifetime. However, if you forget to bring your camera, do not worry. There are professional photographers there that will provide you their services for reasonable prices and help you save your memories. 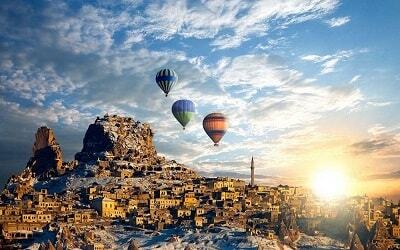 Reserve your tickets with us, because we have everything to make your vacation a memorable and fun experience. 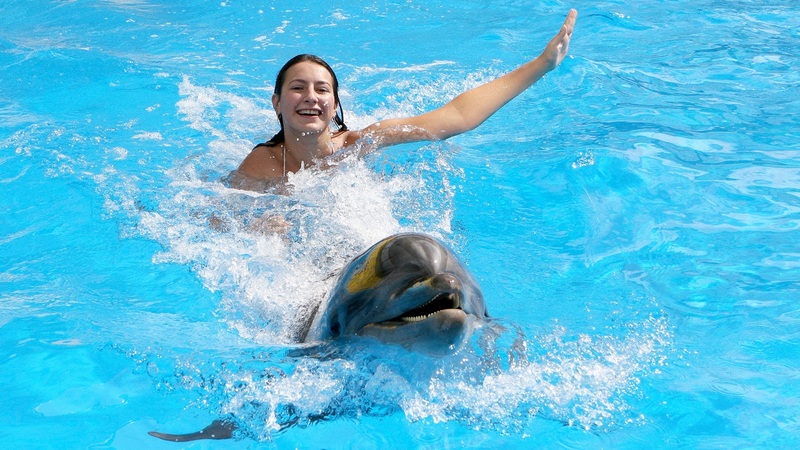 Relax and enjoy your time at the Dolphinarium! Pregnant Woman, Children Under 8 Years Old And People Under Influence of Alcohol Can't Swim With Dolphins. Icmeler Swim with Dolphins Tour starts with a free pick-up from your hotel, followed by a cozy transfer to the Marmaris Dolphin park. 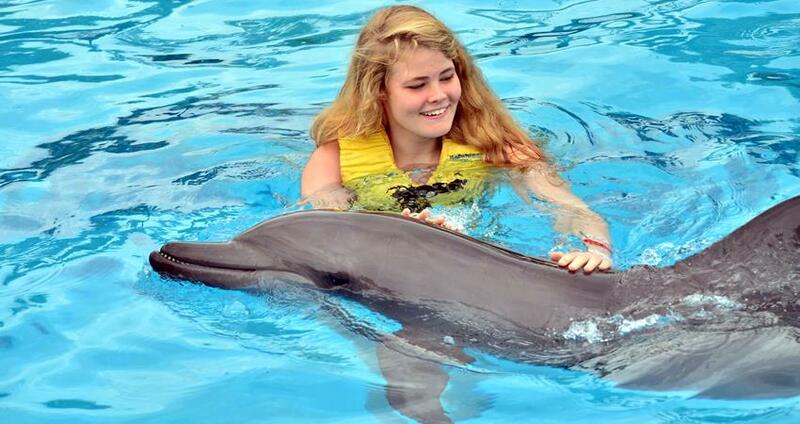 This great entertainment park is open every day, and it offers four sessions with the dolphins between 9am and 5pm. You can pick your preferred time and then we will adjust the transfer time accordingly to that. Once we get to the park, we will be welcomed by a professional dolphin trainer. 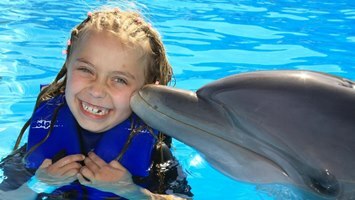 Our trainers will tell you more about the rules and regulations of the park, and some basic things that you need to know before swimming with the dolphins starts. 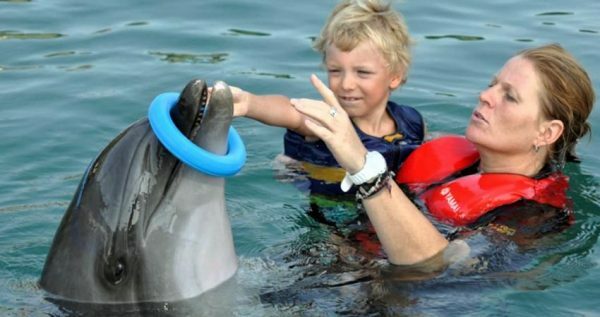 This part probably sounds unnecessary and irrelevant, but it is actually very useful because of your safety, as well as the safety of the dolphins. Before you get to take a swim with these wonderful creatures, you will go to the changing cabins and change your clothes. You should also avoid using any sun cream, sun block or any other skin lotions, as they could be poisonous for the dolphins. 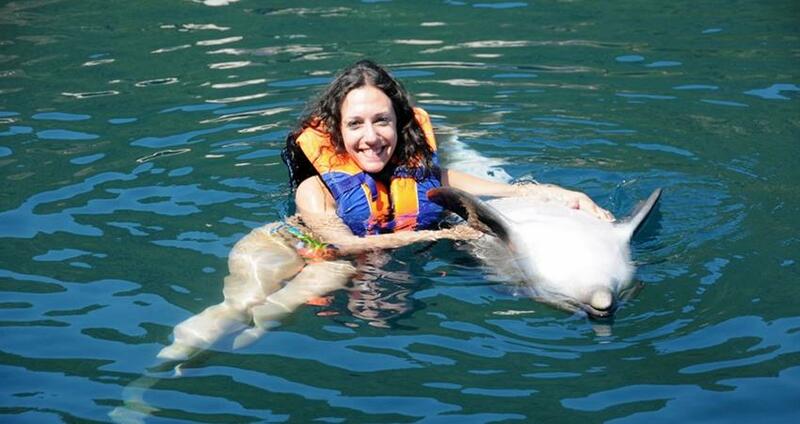 We will also give you a life-saving jacket, that you will wear during your play-time with the dolphins. 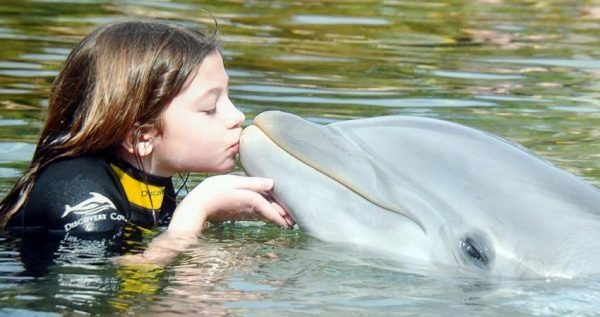 You will get to spend approximately 15 minutes with these amazing creatures and during that time, you will get to kiss the dolphins, dance and swim with them. 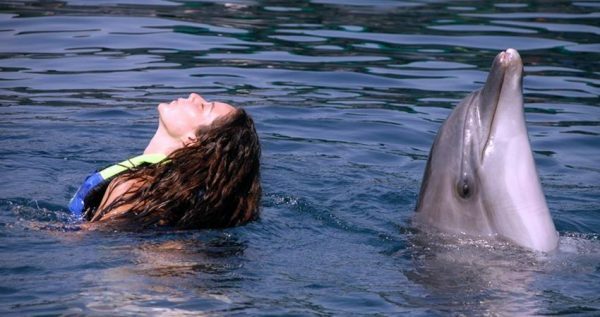 The trainers will be close, to ensure that both you and the dolphins are safe, and gentle with each other. One of the most popular activities is belly ride with the dolphin, which will surely be a memorable experience. 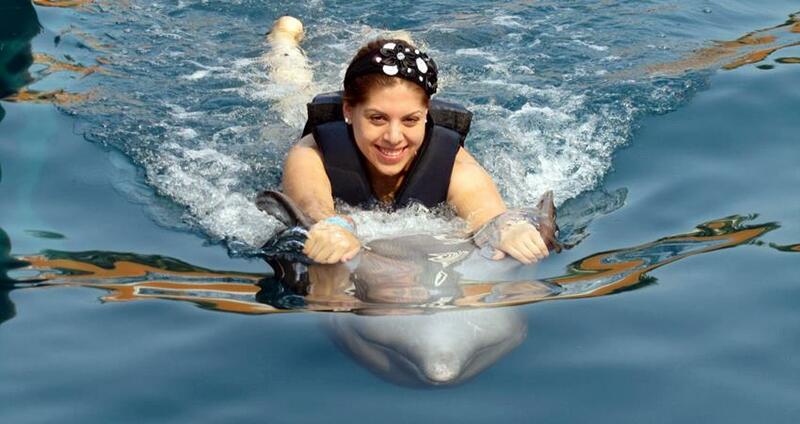 While you play with dolphins, our professional photographer will be taking pictures and videos. 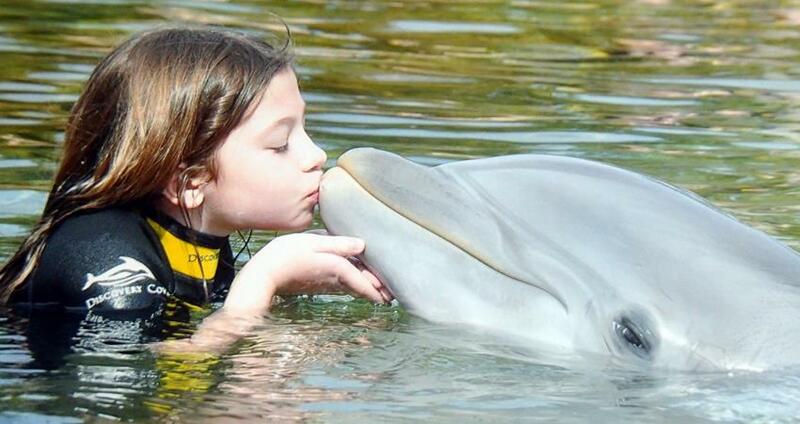 Once your session with the dolphin ends, you can watch them and you can buy them as a souvenir. take you back to your hotel. This transfer back is free of charge, and you don’t have to worry about paying extra. 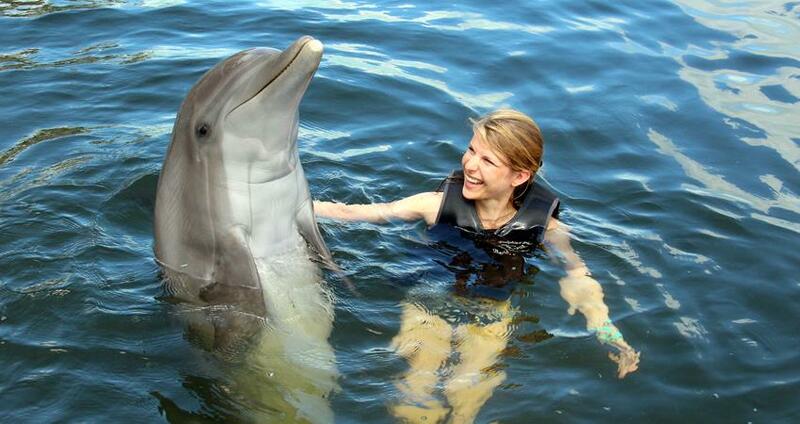 Please also read Icmeler Meet With Dolphins program.